Thanks to all who made PGM ONE 2017 a success! See a full report of the event here. See more pictures of the event by Michael A. Estrada here. Thank you to our 2017 Presenters! Chako is the National Program Coordinator for the Ancestral Lands Program of Conservation Legacy. Having worked as a chainsaw and habitat restoration Crew Leader and Program Coordinator in the Ancestral Lands Navajo office, Chako now works to bring together Corps, Tribes and Agencies to support the development of more tribal Conservation Corps programs nationally. Chako is Mvskoke, has a degree in Indigenous Studies from University of Colorado at Boulder and has worked to revitalize Mvskoke language and food sovereignty. 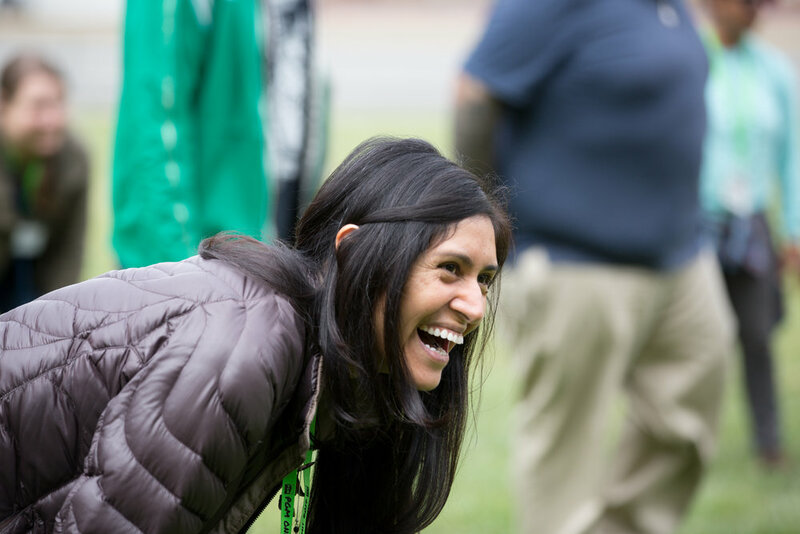 Sangita Chari oversees the Office of Relevancy, Diversity, and Inclusion for the National Park Service and is responsible for facilitating the implementation of the agency’s national diversity and inclusion strategies. Sangita started in the NPS as the grants coordinator for the Native American Graves Protection and Repatriation Act (NAGPRA) . Prior to the NPS, Sangita spent over 15 years working in museums and non-profits as a funder, program manager, technical assistance provider, grant writer, and community organizer. Sangita holds a B.A. in International Relations and Anthropology from American University and an M.A. in Cultural Anthropology from the University of Florida. She is the co-editor of Accomplishing NAGPRA: Perspectives on the Intent, Impact, and Future of the Native American Graves Protection and Repatriation Act, published in 2013. Tim is currently an outdoor educator with the Appalachian Mountain Club's Youth Opportunities Program, working in training teachers and youth workers to guide their youth outdoors. Tim's background is in community organizing and youth counseling/education. Having studied photography as a major in college, Tim explored its intersection with environmental justice. 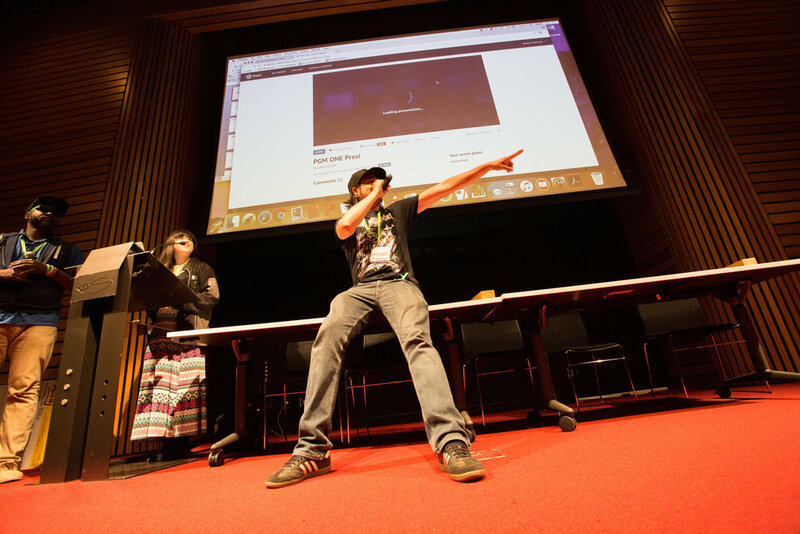 Among the undergraduate courses he taught as a teaching fellow was an upper level environmental media justice class, which included the creation of an environmental justice short doc in partnership with a community affected by pesticide drift. Through deep connections with the natural world, cityWILD, a non-profit organization based in Denver, CO works with low‐income and culturally diverse youth providing them with experiential outdoor and nature‐oriented opportunities, leadership opportunities and community involvement. We envision communities as ecosystems that thrive when everyone has immediate access to the healing, recreational, social‐emotional and cultural opportunities that nature has to offer. We utilize diversity, equity and inclusion, experiential education, trauma-informed care and positive youth development as frameworks to guide our work with our youth. SJ (left), is working with cityWILD as a Program Assistant through an Americorps position. As an Alumni and Board member, SJ is interested in continuing to work and learn about the outdoors. Kim (middle) is the Program Coordinator at cityWILD. She is constantly finding ways to incorporate her background and interest in environmental education, wildlife biology, outdoor recreation and decolonizing the outdoors into programming at cityWILD. Monse (right) is an Outdoor Xingona from the South who brings her intersecting passions outdoors and beyond. She currently works as a Program Assistant at cityWILD and loves to take students climbing! Carolyn Finney, Ph.D. is a writer, performer and cultural geographer. As a professor in Geography at the University of Kentucky, she is deeply interested in issues related to identity, difference, creativity, and resilience. In particular, she explores how issues of difference impacts participation in decision-making processes designed to address environmental issues. 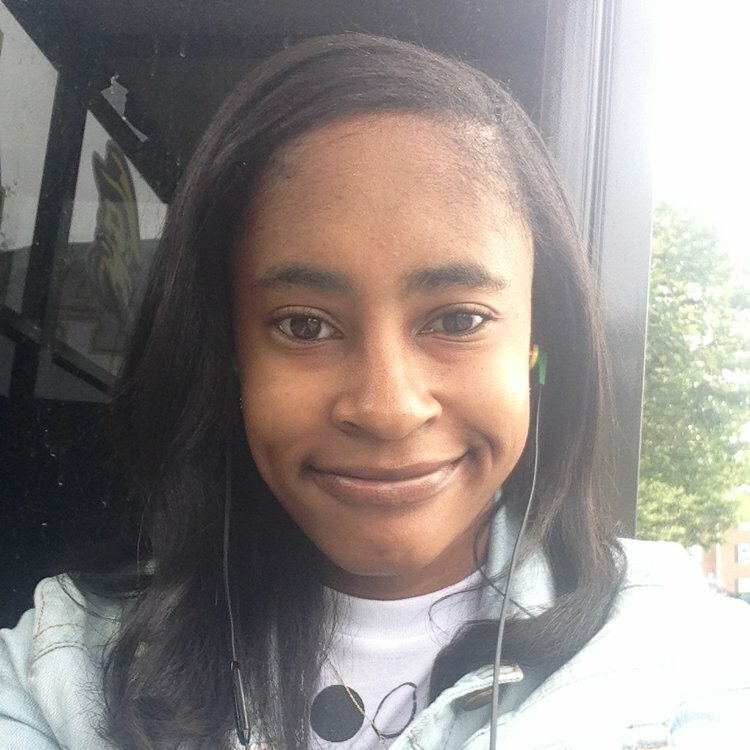 The aim of her work is to develop greater cultural competency within environmental organizations and institutions, challenge media outlets on their representation of difference, and increase awareness of how privilege shapes who gets to speak to environmental issues and determine policy and action. Among other pieces, Carolyn Finney wrote Black Faces White Spaces: Reimagining the Relationship of African Americans to the Great Outdoors. Andrea is an immigrant whose relationship to nature was shaped by her grandmother's legacy; Melida Restrepo de Fraume fought for environmental justice and conservation in the city of Manizales and throughout Colombia her entire life. She is the Outreach Coordinator for Bay Area Wilderness Training, a nonprofit that strives to support Bay Area youth workers and educators by providing the resources described in this workshop. 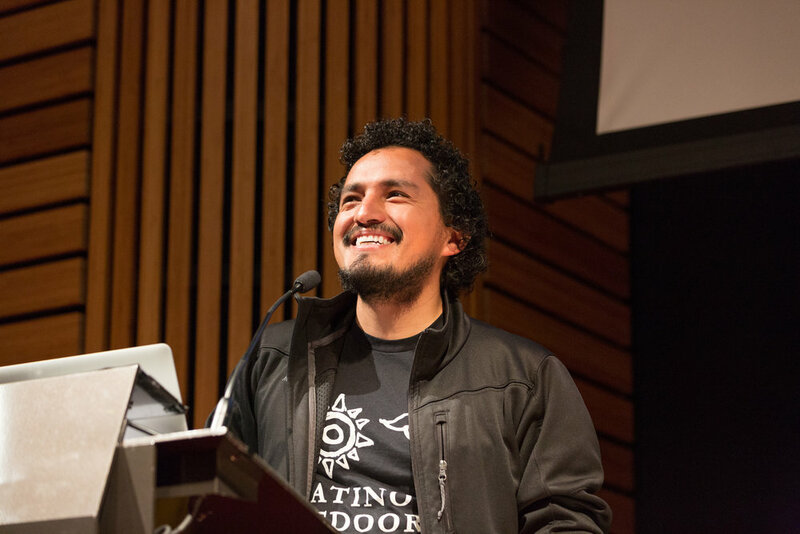 José G. González is the Founder and Executive Director of Latino Outdoors. He is an experienced educator as a K-12 public education teacher, environmental education advisor, outdoor education instructor and coordinator, and university adjunct faculty. His commentary on diversity and environmental outreach has been featured by High Country News, Outside, Earth Island Journal, and Latino USA, and he has been engaged in collaborations with the White House Council on Environmental Quality, U.S. Department of Interior, and the National Park Service. He also represents Latino Outdoors in several coalitions including the Latino Conservation Alliance and the Next 100 Coalition. He has been recognized with several honors, including the National Wildlife Federation, Grist Magazine, and The Murie Center. He received his B.A at the University of California, Davis, and his M.S at the University of Michigan School of Natural Resources & Environment. Jarre is a second year, African American PhD student in U.C. Berkeley's Anthropology and archaeology department. Jarre received a bachelor's degree from Appalachian State University in Boone, North Carolina. Jarre is originally from Northern Virginia, right out of Washington D.C. and is currently engaging archaeological and community based research work for the dissertation that will be based in Yosemite National Park, regarding the Buffalo Soldier's presence at the Presidio and Yosemite. As part of Jarre's addressing getting African American youth re-introduced to the outdoors and their cultural historical connection to the land, Jarre has begun engaging with Garfield Elementary School of Oakland in creating plans for archaeology and outdoor education based field trips to the Presidio and producing educational materials for Garfield teachers as well. This summer Jarre will work with the park rangers and state park archaeologists at Yosemite to begin initial archival research and possible geophysical survey work at possible archaeological site where the Buffalo Soldiers camped at while acting as the first park rangers. Narinda Heng is an Oakland-based writer and potter. From 2009 to 2012, she was a stage manager and co-producer for the Downtown Los Angeles-based free public art space, Tuesday Night Cafe. After moving to Oakland in 2013, she became involved as a volunteer mentor as well as a staff member with GirlVentures, which began her career in outdoor education. She has since been on extended backpacking trips with young people in Alaska, Colorado, and New Mexico. Her writing revolves around community, Khmer American identity, queer identity, family, the second-generation experience, justice, and reclaiming/redefining our connection with the natural world. Blanca has a B.A. 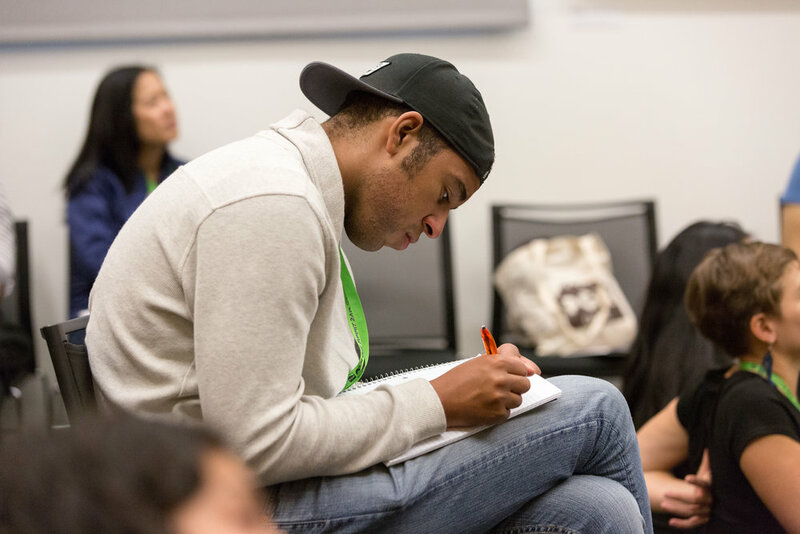 from the University of San Diego in Literature and graduated from CompassPoint’s Next Generation Leaders of Color in 2012. She has been involved with the Building Healthy Communities initiative launched by the California Endowment since 2011 and has served on the Healthy Richmond Steering Committee since then. She is dedicated to developing leadership in Richmond residents so they can become change agents in their community. 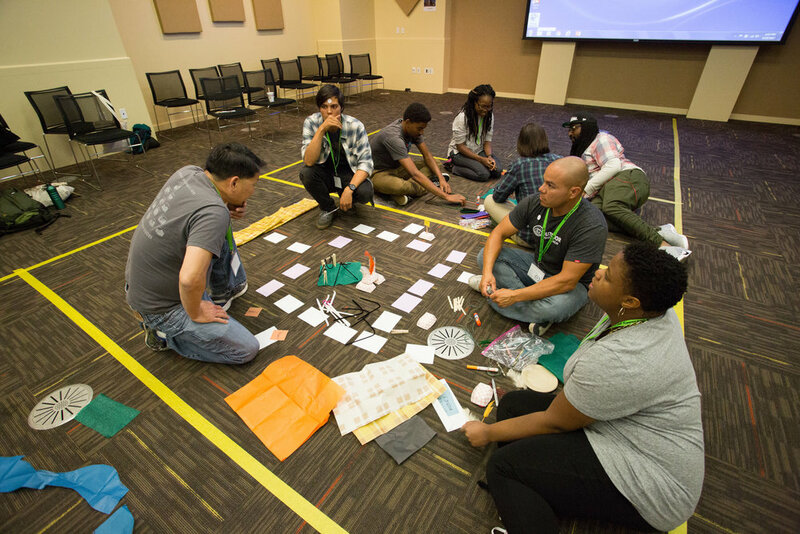 She develops, and facilitates programming and workshops that are culturally relevant for youth and adults and provides trainings for camp partner staff that inform about diversity and inclusion. Kenji Haroutunian is an independent agent for change focused on events and the great outdoors experience. Kenji’s acumen for business comes from 29-years in specialty outdoor store management and teaching outdoor skills (including advanced climbing and wilderness navigation courses) during/after completing his degree at UCLA. In 1999 he began working for the Outdoor Retailer show, building an authentic brand story and growing the business into one of the premier b2b shows in the world. Since 2011 he was elevated to Vice President for Emerald Expositions, directing the Outdoor Sports group. 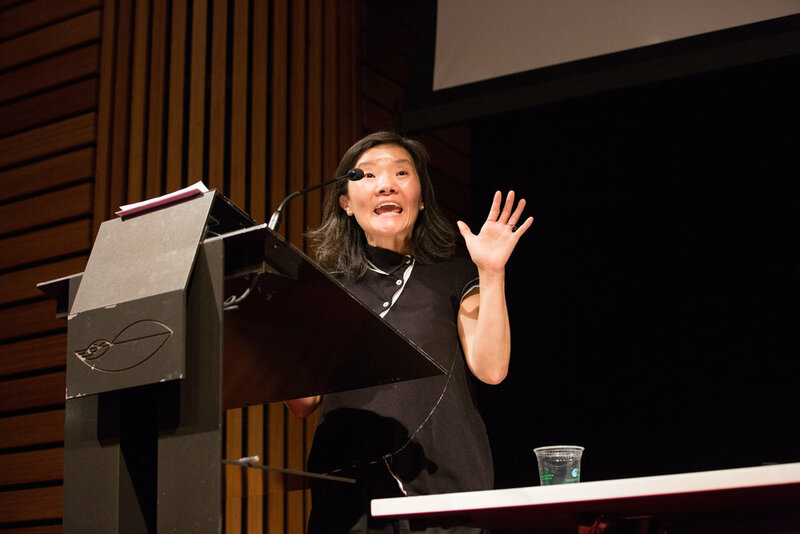 A 2010 Access Fund ‘Sharp End’ awardee, Kenji serves on the Board of Directors of the Access Fund, is President of the Friends Of Joshua Tree and is a founding director of TeccSociety, an events-industry technology organization. Born in Japan and raised in Seattle, Mitsu loves immersing himself in wild and natural places. He began his outdoor career as an assistant instructor in 1996 with Outward Bound, and over his many years as field staff and as administration, he has continued to find inspiration helping people discover more about themselves through challenge and adventure. He is restless, and relentlessly pursues opportunities to do and be more, and believes it is his great privilege to combine his passion for adventure with his career to provide life-changing experiences. When not in the office, he can be found running, climbing, and skiing high peaks in the Northwest and around the world. Cristina considers herself a transnational (institutionally recognized as a dual national Costa Rican and US) mestiza (person of mixed ancestry or race) and has spent much of her life migrating between Central America and the US. She hopes to work in increasing access to outdoor spaces for underrepresented groups both domestically and abroad. 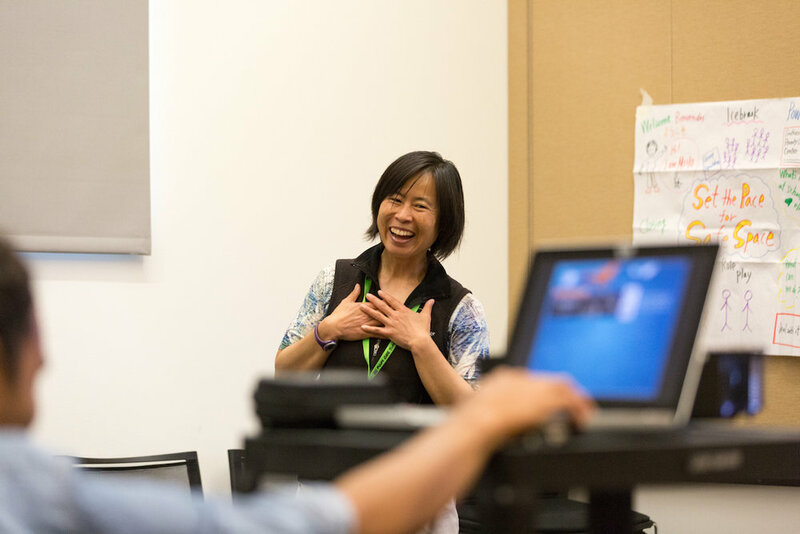 Angela Park is a consultant, researcher, and writer dedicated to helping mission-driven organizations embed social justice and equity throughout their work. She has consulted for nonprofits, foundations, B-corporations, and government agencies at all levels—including Ben & Jerry’s, Sierra Club, Surdna Foundation, and the U.S. Fish & Wildlife Service. Angela wrote Equity in Sustainability and Everybody’s Movement: Environmental Justice and Climate Change, was published by The Diversity Factor, Grist, and Yale University, and featured in Audubon. Previously, Angela worked at the Clinton-Gore White House, coordinated sustainable development initiatives at the Center for Policy Alternatives, and co-founded the Environmental Leadership Program. Elyse is coming up on ten years working within the environmental field. Previous employers include City Slicker Farms, and the Ecology Center. She currently work for the Institute at the Golden Gate, which is a program of the Golden Gate National Parks Conservancy. During my ten years working green jobs as a black woman, I've had to pick up skills and practices to sustain and nourish myself. I've had to position my healing and safety as crucial to me continuing this work. I'd like to share what I've learned (many of these lessons were passed on to me my by other black women), and start a conversation that values healing in environmental/conservation work. Sarah is Chicana and comes to this conference primarily as a researcher of active transportation and outdoor adventure sports. She has also been an active participant in outdoor adventure sports, particularly ultrarunning, mountain biking, and adventure racing. Sarah completed her PhD in Cultural Studies, and is now working on revising her dissertation on the origins and growth of mountain biking into a book. She has also done extensive work with DIY bike collectives and bike advocacy. As a bi-racial woman doing this work, Nina has been living and breathing the topic of cultural diversity in relation to parks and public lands for over 25 years. She blends her personal experiences and stories with her research, community engagement practices and research to connect with agency managers. She has traveled around the U.S. connecting with a variety of agency leaders organization/NGO directors, field staff, and board of directors who seek to improve their relationships with the communities they try so hard to serve. With a determination for social justice and constantly challenging the status quo, she has never given up encouraging people to understand the power of privilege, learn to be an ally to others different than ourselves, and contribute to breaking down institutional constraints prohibiting progress. 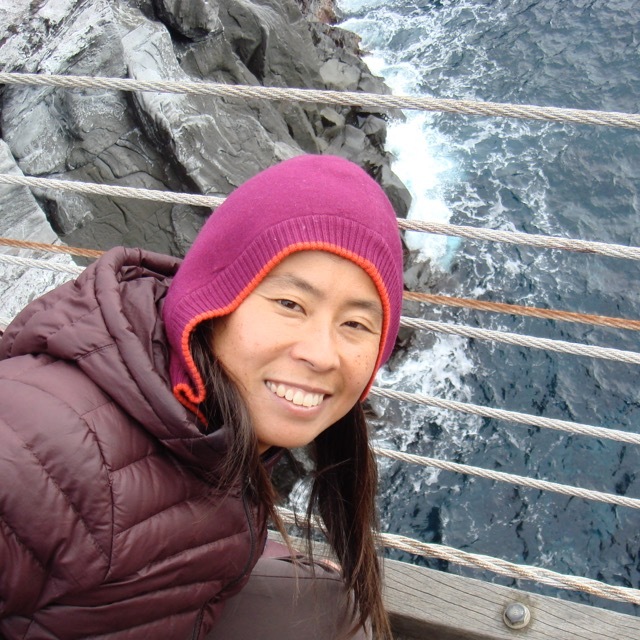 Nina has a PhD in natural resource recreation and tourism and although she hasI landed in higher education at San Francisco State University, she spent the majority of her career in the field as a youth provider, adventure guide, park manager, and more. Sophie is a second generation Bengali-American, a fourth generation Japanese-American, and even a bit English/French Canadian—a mixed identity which she calls “hapahindu.” Sophie is grateful to have found meditation and mindfulness practice through her parents, and has been practicing consistently for the last six years. She ran a sangha—meditation group—out of her home in West Philadelphia and is currently supporting the organization of a mindfulness meditation group for people of color in London. Kim is the Program Operations Manager for Outdoor Outreach managing logistics, volunteers, training, and staffing for all programs. Kim has more than 16 years of experience working with youth in the outdoors. Prior to joining Outdoor Outreach, Kim served as a recreation & music therapist at San Pasqual Academy, a residential education campus for foster teens in San Diego. Kim has a B.S. in Psychology from UC-San Diego. Leandra is Coordinator for Merge New Mexico, a community alliance based in Albuquerque NM bringing together multicultural groups working to ensure equitable access to New Mexico's natural resources. She is a graduate of Baylor University with previous experience working for the US Fish and Wildlife Service. Leandra identifies strongly as a Military Child, a Black Outdoor Enthusiast, Artist, and avid Birder. She was recently selected as an Outdoor Afro Leader of New Mexico and is an alumni of SHIFT's Emerging Leader's Program. Whitney is the executive director for Green 2.0, an initiative to increase the racial diversity of the mainstream environmental organizations. Prior to joining Green 2.0, Whitney served as the director of diversity and inclusion at the National Parks Conservation Association and as a Program Manager and Mediator at the Meridian Institute. At Environmental Defense Fund, Whitney served as a strategist in dozens of state and federal political campaigns, and launched the Fisheries Leadership and Sustainability Forum. Whitney has a B.A. from Middlebury College and a J.D. from American University’s Washington College of Law. As a Mexican-American who grew up in the borderland of El Paso, Texas, Naomi has always had a great understanding that valuable histories and contributions are missing in public lands. When she was 10, she lived in the Panama, Canal Zone when it was still controlled by the United States. She learned quickly how a dominant narrative impacts a community and one’s sense of self-worth. She has committed her career to broadening the narrative and including the voices and experiences of many more peoples in to our public lands and historic sites. Cianna, Office Manager and Volunteer Coordinator at YES Nature to Neighborhoods, joined YES as a volunteer in 2011 and became a member of the staff in 2016. With a B.A. in Sociology from San Francisco State University, she traveled to Madrid, Spain in 2012 to achieve her Masters in Sustainable Development and Corporate Responsibility with the intention of exploring her desires to make sustainable change at a grassroots level. As a Richmond community member, she enjoys exploring near by nature spaces, growing food, working on issues of food justice and social welfare. Ariel was born on the tropical island of Taiwan. In her youth she was most fascinated by sensitiva mimosa, a plant that would shrink upon her touch. From then on she became particularly observant of how people interact with nature. After graduating from UC Berkeley, she worked on the ecological restoration of an urban national park, the Presidio of San Francisco, and regularly communicated the scientific projects' progress to the public. Today she advocates for environmental literacy by teaching field science at NatureBridge in Olympic National Park. She loves how little words can inspire action. When she is on her computer, she designs marketing campaigns and produces original content for San Francisco’s first nonprofit dedicated to ecological restoration and conservation, Nature in the City. Deon is a senior at UC Irvine currently studying Political Science and Education Science. Deon has been involved with the nonprofit organization Outdoor Outreach since his Junior year in high school as a participant and is now an instructor. He has served in student government at UC Irvine as the External Chief of Staffin the Office of The President, leading student leaders to provide services for students on campus. As an applied social science researcher, Wei Ying has two decades of experience in interdisciplinary and multicultural conservation and education projects both nationally and internationally. She brings a focus on engaging diverse stakeholders in conservation to achieve measurable outcomes and is committed to supporting inclusive discourses and socially just environmental policies, and dismantling the systems of power and privilege in the conservation, science and environmental learning arenas. Tanner grew up on the move with stops in the Caribbean and Kansas before calling Kentucky home. After earning a degree in environmental science, he worked on a fishing vessel in the Bering Sea. His Peace Corps service involved resource management, education and eco-tourism. During graduate school, Tanner helped form Greater Cincinnati’s Tri-State Trails Coalition; he is also a board member of Outdoor Adventure Clubs of Greater Cincinnati which helps get urban youth into nature. As Program Director at Groundwork Cincinnati he works on environmental initiatives that impact quality-of-life in urban areas. His work focuses on inclusive outdoor recreation and field science programs for youth, and transforming the built environment though planning and design.